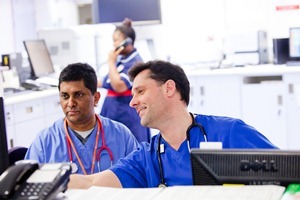 Luton and Dunstable University Hospital is one of 16 Acute Trusts that have been selected as a Global Digital Exemplar (GDE) by NHS England. The GDE programme will deliver improved patient outcomes and will make the hospital more efficient as an organisation. There’s plans to launch a Virtual Clinic pilot which would enable outpatient appointments to be carried out using telecommunications instead of face to face, allowing patients to stay in their own home. 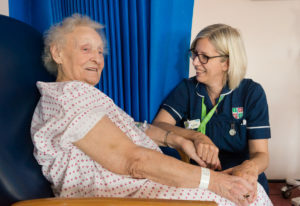 This will offer numerous benefits to patients such as reducing the time they need to attend an appointment, reducing stress and anxiety about attending a hospital appointment, saving money on travelling and parking and it will also free up car parking spaces on site for the patients that have to attend the hospital for their care. 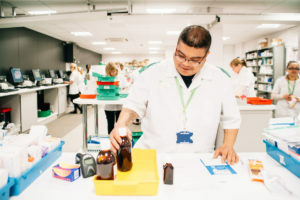 This project focuses on an upgrade of pharmacy stock control and the systems that the L&D uses to ensure that patients receive the correct medicines, in the correct dose as quickly as possible. The end goal is to optimise our communication with community pharmacies to ensure continuity of care for patients and a better awareness of the medications each patient takes regardless of who they are seeing within the healthcare community. This project goal is to ensure a secure and safe access to a wide range of the most significant patient, service and organisational data. It will allow us to create a streamlined view of the patient record by bringing clinical IT systems together to give a complete snapshot. 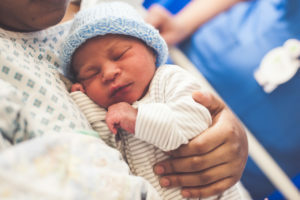 A milk tracking system is being proposed for NICU with the potential to extend the solution to the postnatal ward. The system will enable better monitoring of the amount of milk mothers express and the amount their babies consume whilst reducing any risk of cross infections. 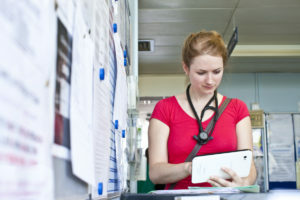 The EDRMS Project uses Evolve e-Forms, workflows and e-referrals. We are working to put control back with the Clinicians. The goal is to make Outpatient Clinics and specialties ‘paper-lite’, increase efficiency and boost the quality of patient care and safety. It is essential for key Trust systems to be robust and perform at the highest standards at all times. From April onwards, we will be migrating the whole IT system onto a new ‘cloud based’ platform. This will benefit all users, as it will enhance stability, security and performance. It will also allow the seamless introduction of new applications into the Trust as and when they are required. This will enhance the day to day operations for all staff, specifically clinicians whilst monitoring patients as it will improve patient journey and experience. 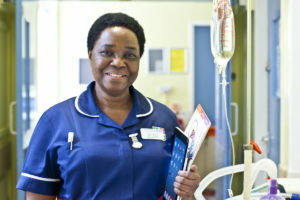 The ICC project will bring six of the existing hospital systems together to ensure patient information can be recorded accurately and more efficiently and that it is more readily accessible by the staff that need it. 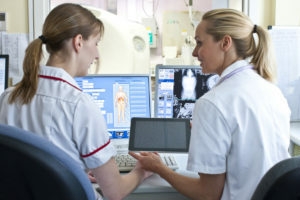 The current systems require staff to input the same information numerous times, which is not a good use of clinical time and increases the chances of an error being made. This new system will immediately free up staff time so they can spend more time with patients.